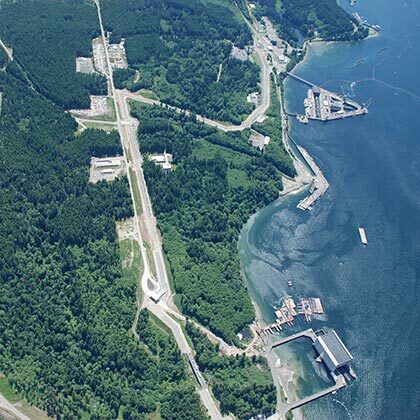 This design-build project consisted of design, fabrication, and installation of two miles of modified Normandy barriers. The barrier system provides a continuous passive barrier system to prevent or delay threat vehicles. Major work elements consisted of placement of concrete foundations, fabrication of significant structural steel members, and a substantial volume of field welding. This project is an Associated General Contractors of WA (AGC) 2014 “Build Washington” award winner for Construction Excellence. 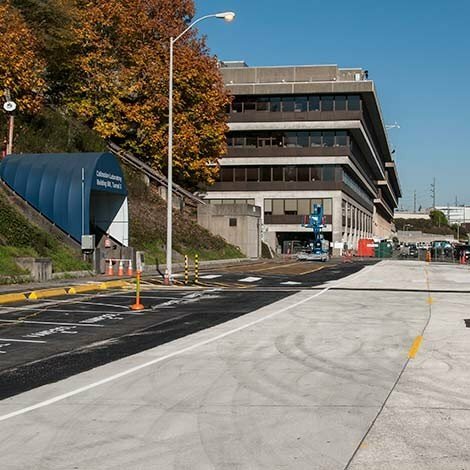 The scope of this project included the demolition and replacement of approximately 90,000 square feet of existing asphalt and concrete surfaces. Driving lanes were extended out 12’’ past the fog lines and existing curb and gutter, and existing utility trenches remained in place in which 24’’ isolation joints were placed around all trench lids. Traffic control and coordination with all parties was crucial in the successful outcome of this project. 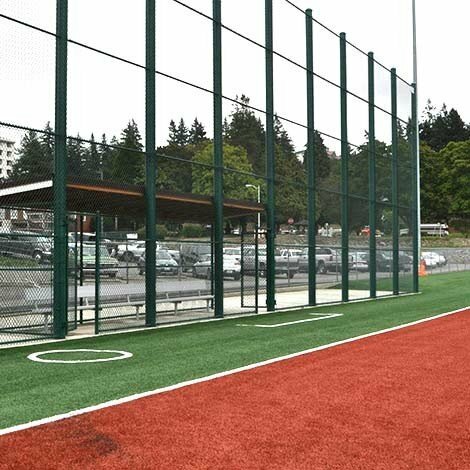 This was a design-build project that consisted of replacing the existing grass covered sports fields with synthetic turf for both the multipurpose (soccer / football) and softball fields, and a synthetic shock absorbing, rubberized surface for the existing jogging and running trail. This design-build project consisted of replacing aging 6’’ AC water lines with 6,800 LF of ductile iron pipe for a new water system. This project also replaced gas mains for 284 dwelling units in Saratoga Heights, approximately 8,400 LF of 4’’ and 2’’ PE pipe. Short runs of new service lines were installed between the new gas main and existing service lines. 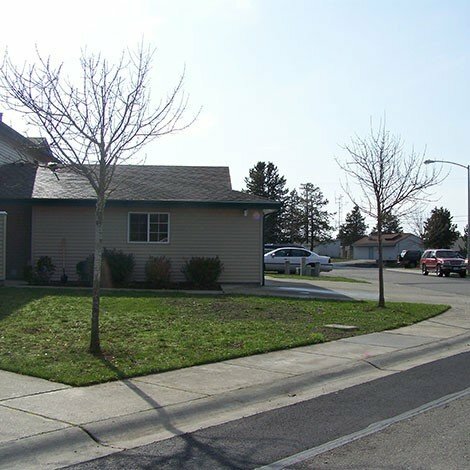 WA Patriot performed this project in a large family housing development with very little impact to residents.